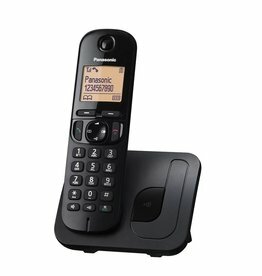 Take back control of your home phone with Panasonic's Expandable Digital Cordless Answering System. 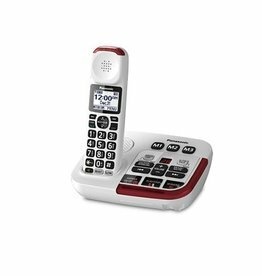 Get up to answer only the calls you want with a talking Caller ID, save money with your own digital answering machine, and more! Panasonic KX TGD220 cordless with answering system. 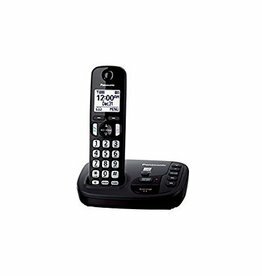 This reliable, full-featured amplified cordless phone is the home phone solution for everyone affected by mild and moderate hearing loss. 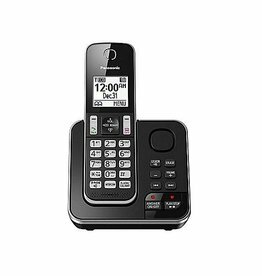 Pick up this Panasonic cordless phone and say hello to some super convenient functions to keep you connected while you’re at home. 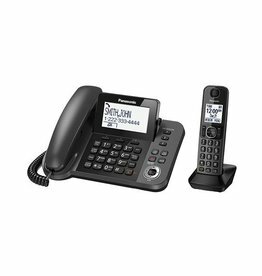 Connect with family, friends and colleagues at home with the expandable Panasonic Corded/Cordless Phone Set with an extra handset and answering system. 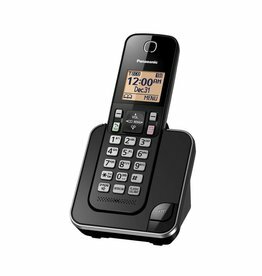 Panasonic KX-TGC210 Digital Cordless Phone With LCD Display and Caller ID.